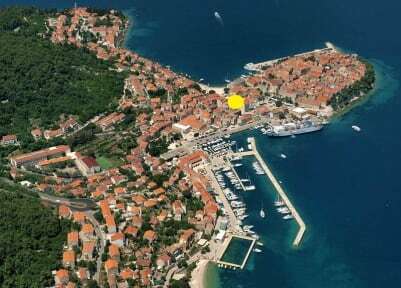 Situated in the very centre of the town of Korčula, Guest House Korunić is also just 50 metres from the nearest beach. It offers free WiFi, satellite TV and air-conditioned rooms that overlook either the town or the garden. 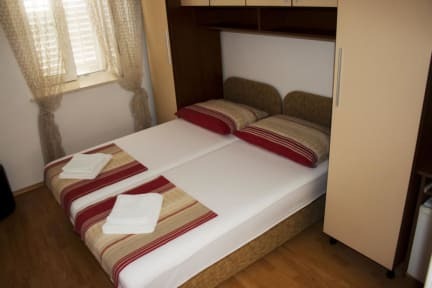 All rooms come with a small fridge and an electric kettle, and studio comes with fully equipped kitchenette. Private bathroom provides a shower, while the room overlooks the town's rooftops. Guests can find a restaurant that serves local specialties in the same building. There is also a café and a grocery store on site. Several galleries and museums can be found 100 metres away. The Marco Polo House can be reached in just 120 metres.